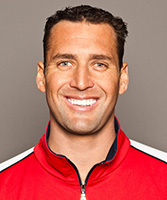 Merrill Moses was the starting goalkeeper for the USA’s 2008 Olympics silver medal winning water polo team. He was voted ‘Best Goalkeeper’ at the Olympics. He was also the starting goalkeeper for the U.S. 2012 Olympic water polo team that did not medal. The Peninsula High School (Rancho Palos Verdes) and Pepperdine University alum led Pepperdine to the 1997 NCAA Championship. Moses was named NCAA Tournament MVP after blocking 70 shots in leading to the school’s only title. Moses was first team Collegiate All-America in 1997 and 1998; and first team High School All-America as a junior and senior at Peninsula High. He played professionally in both Croatia and Italy. He is currently the Assistant Men’s Water Polo Coach at his alma mater, Pepperdine.